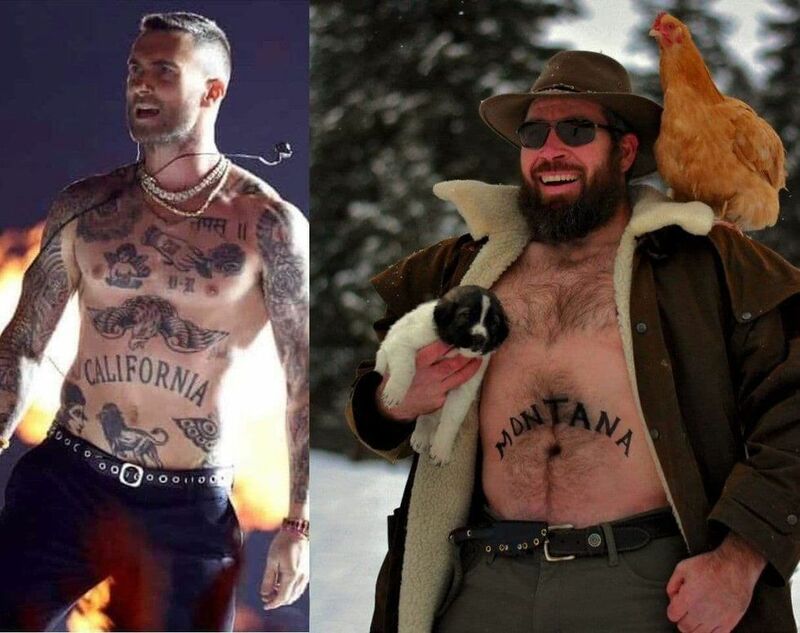 After Maroon 5's meh halftime performance during Super Bowl LIII, discussions quickly ensued and memes were hastily created. 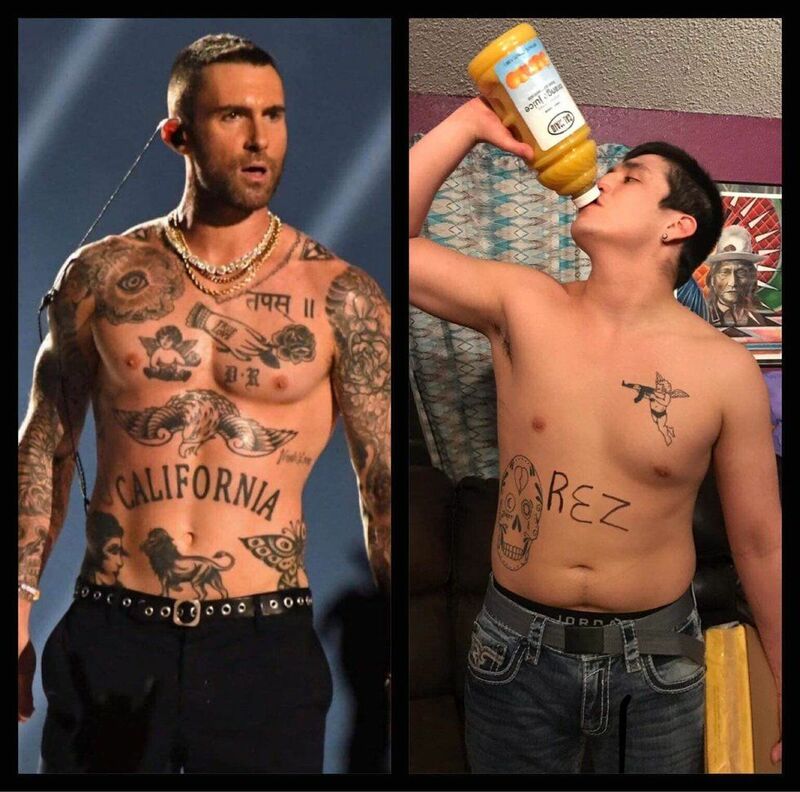 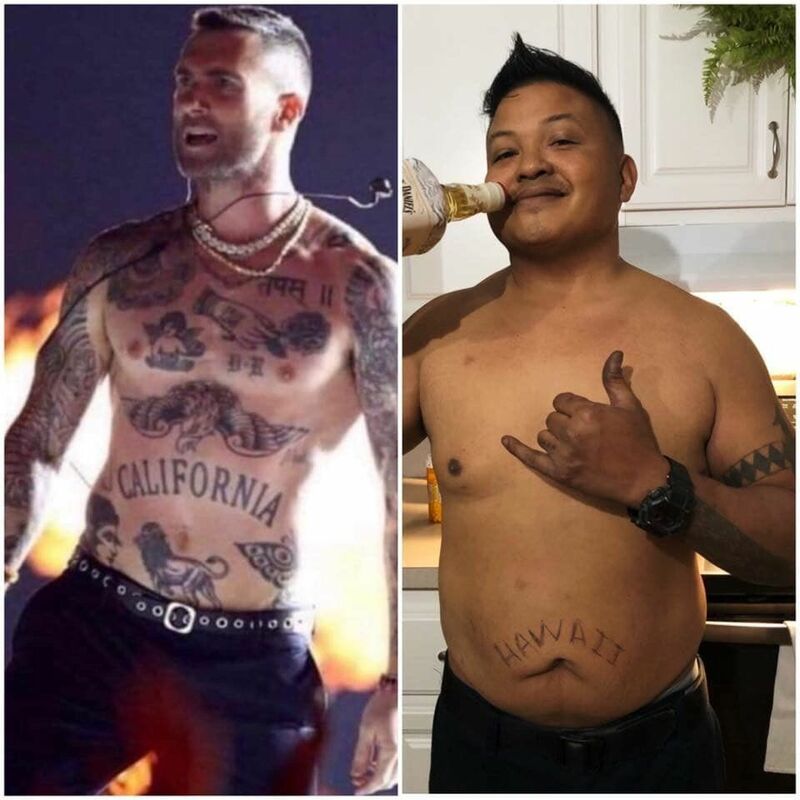 Many fans called for more SpongeBob while others couldn't help but peel their eyes from Adam Levine's questionable tats. 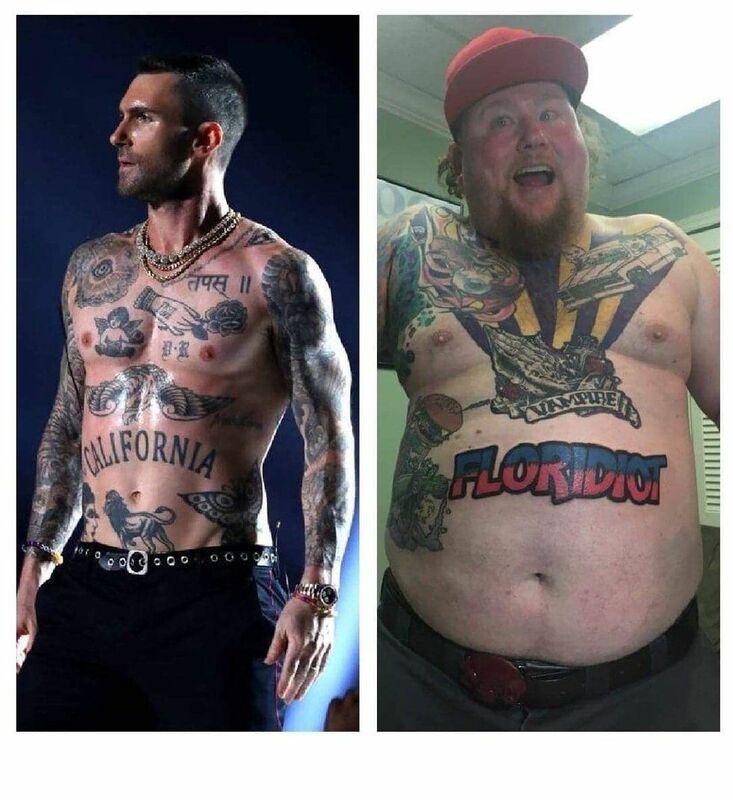 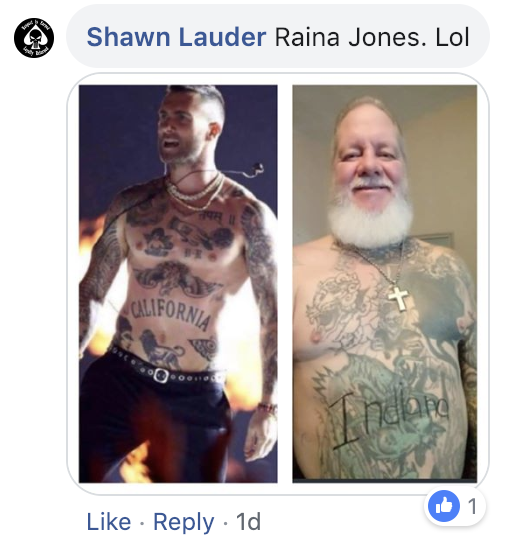 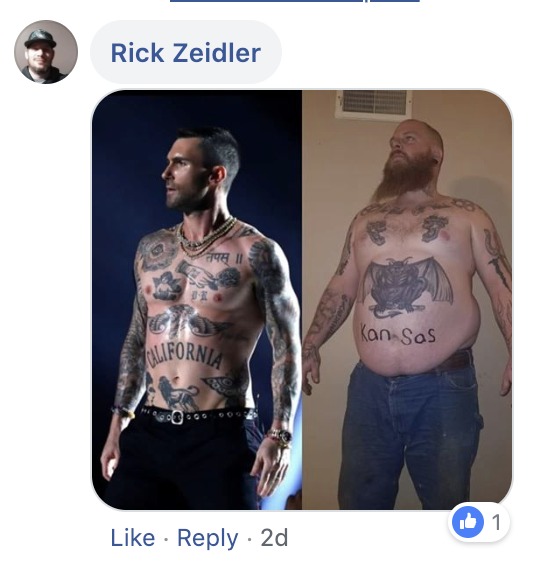 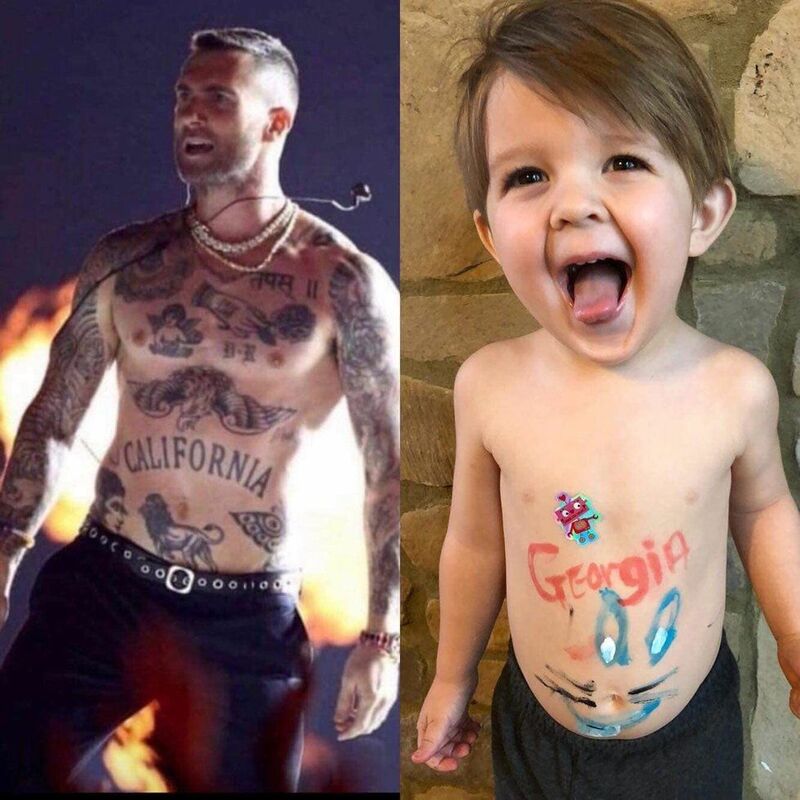 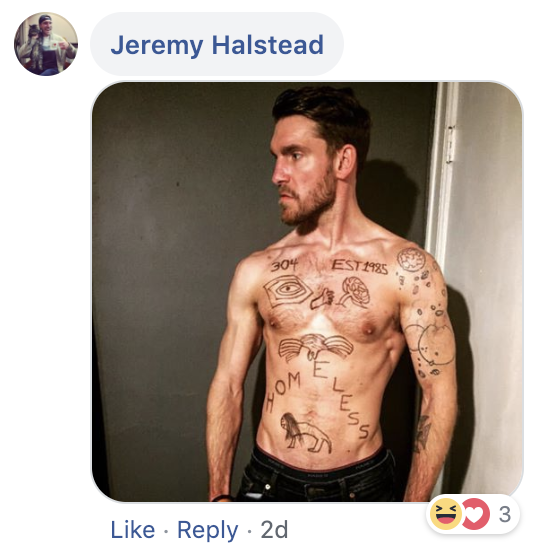 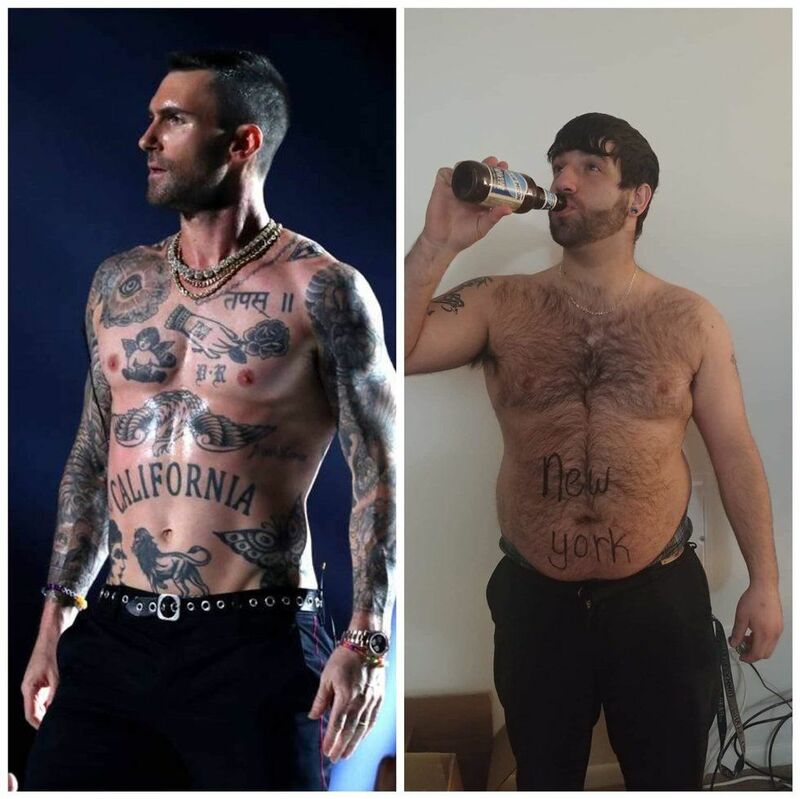 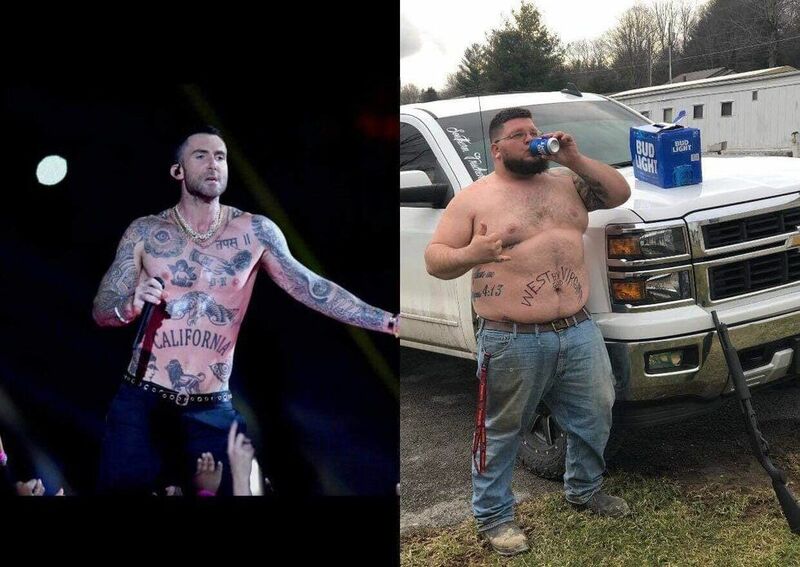 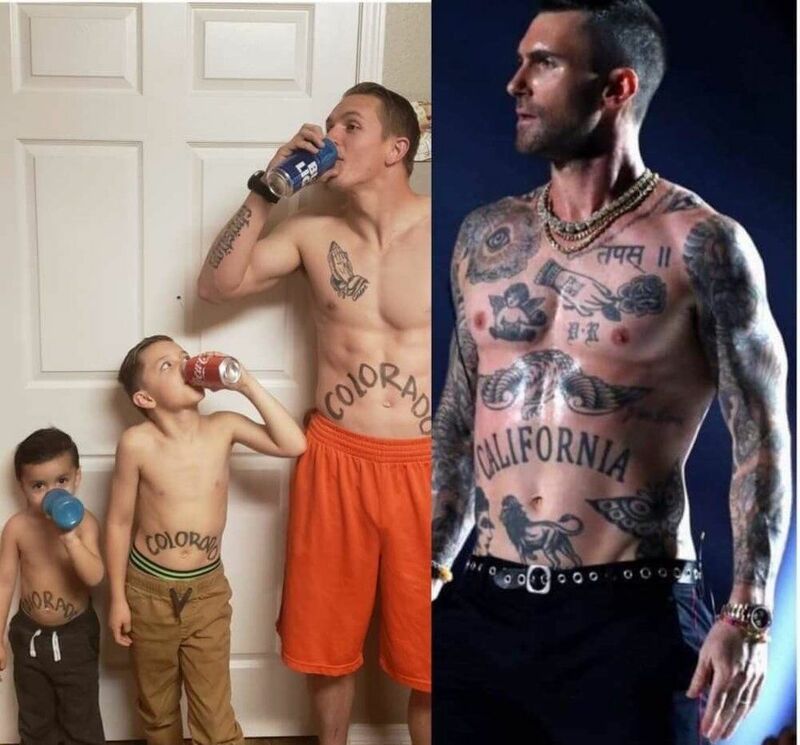 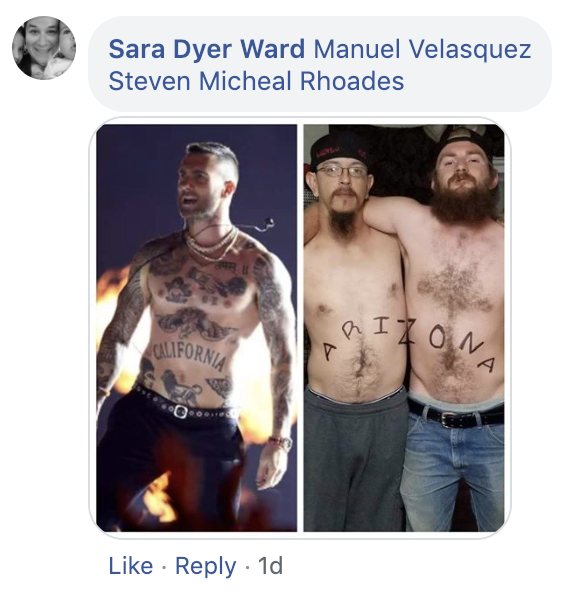 Perhaps the most pronounced of the Maroon 5 frontman's tattoos was the word "California" written on his torso in all caps. 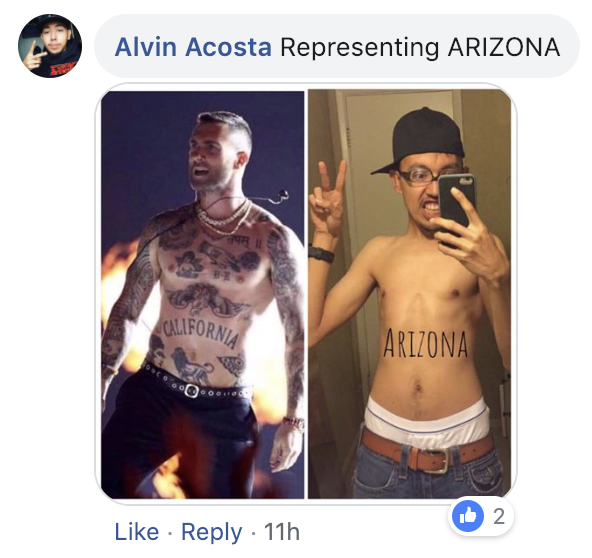 A native of Los Angeles, California, at least the tattoo makes some sense, but many are still puzzled by his need to loudly proclaim his home state permanently on his body. 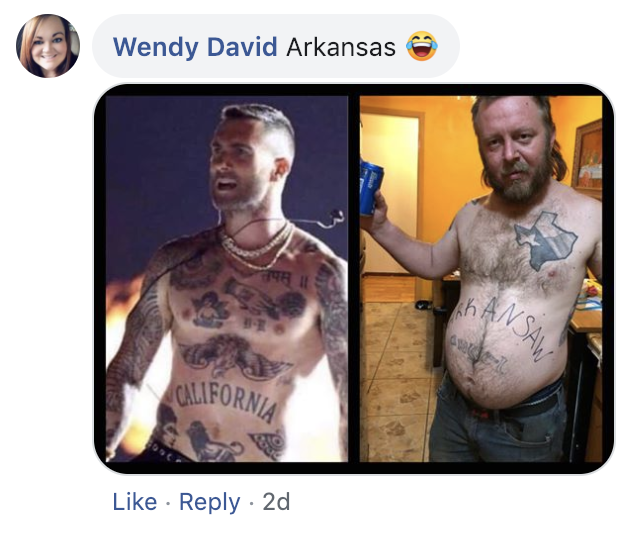 One of the best meme efforts from the halftime show was begun by a Daisy Delaney on Facebook. 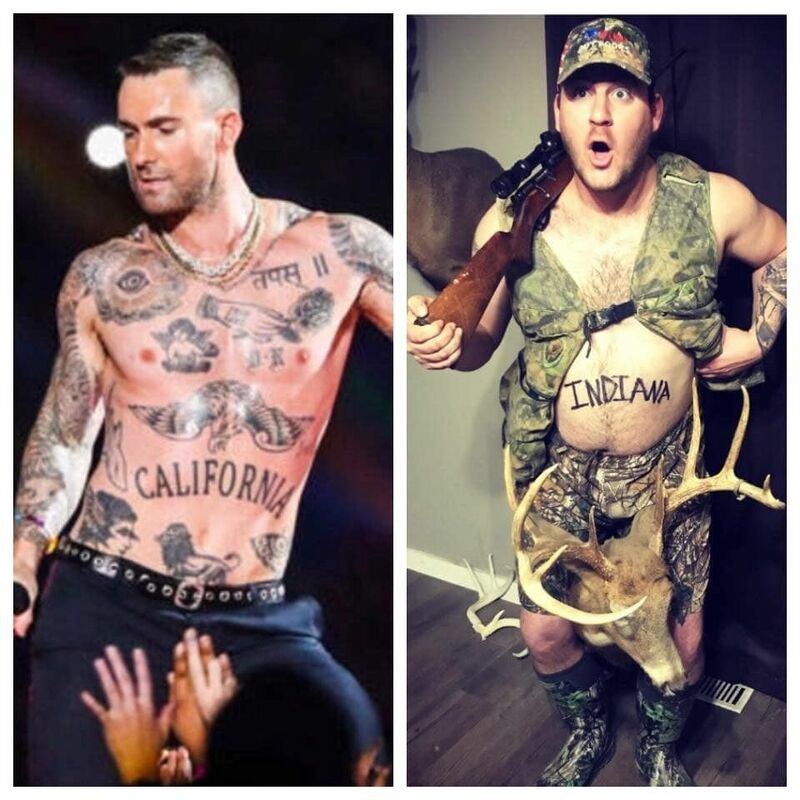 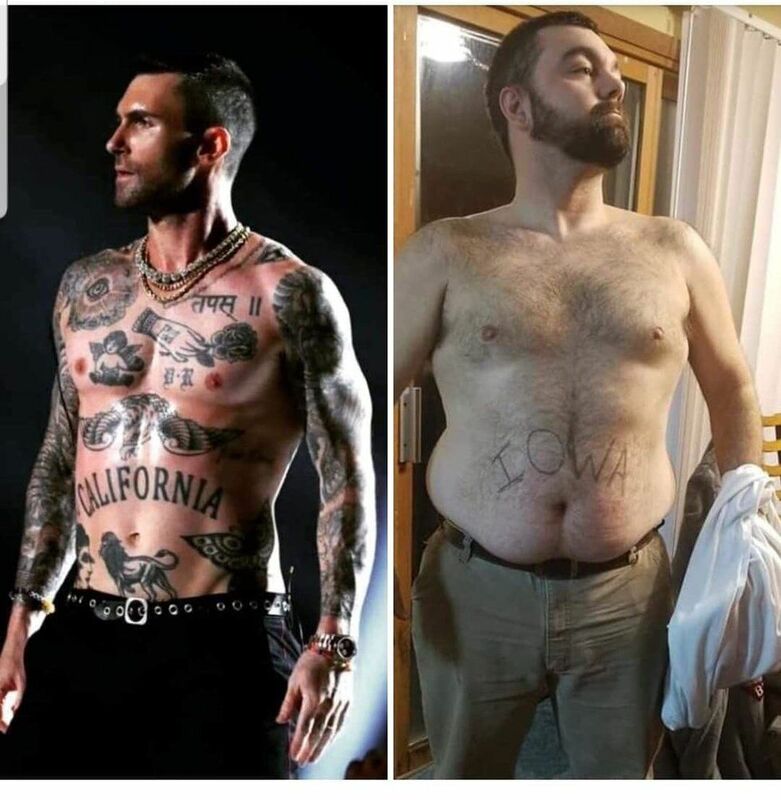 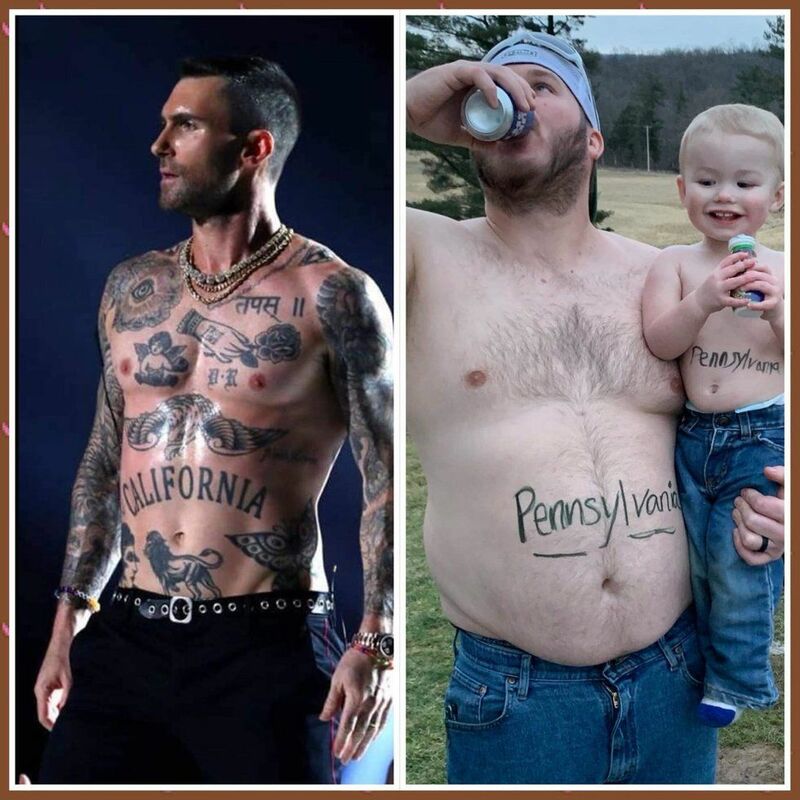 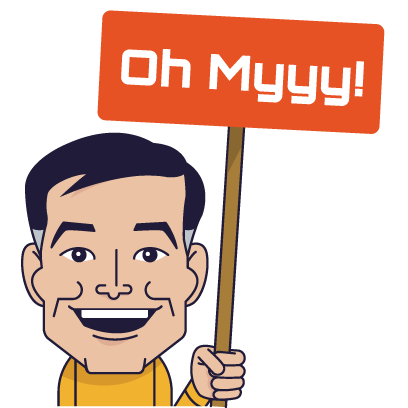 On SuperBowl Monday (if you will), Delaney posted some side-by-side pictures of a shirtless Levine along with other men with their home state proudly emblazoned on their chests. 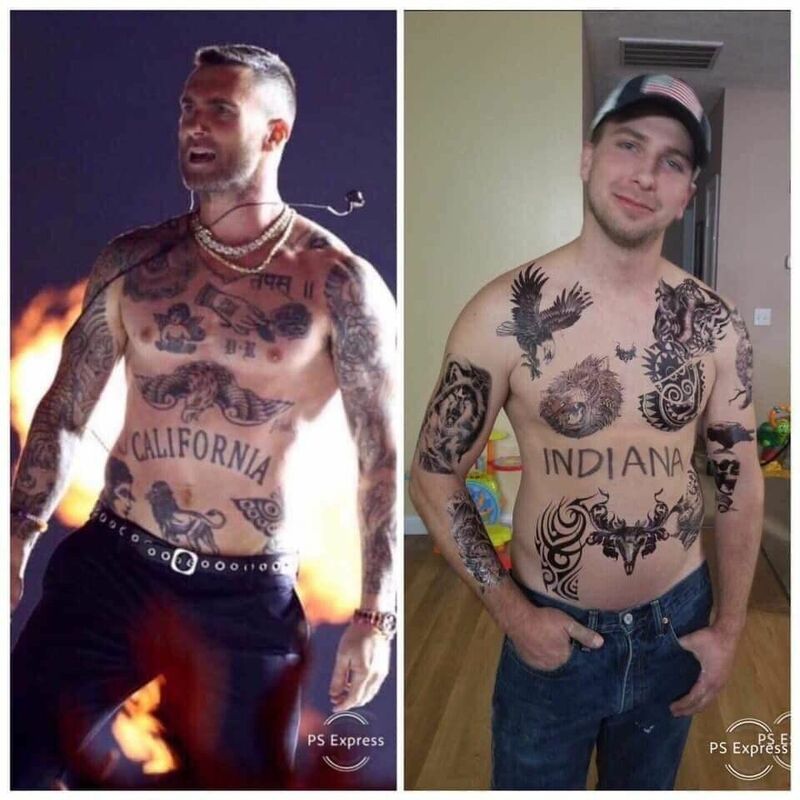 "Can we get all 50 states?" 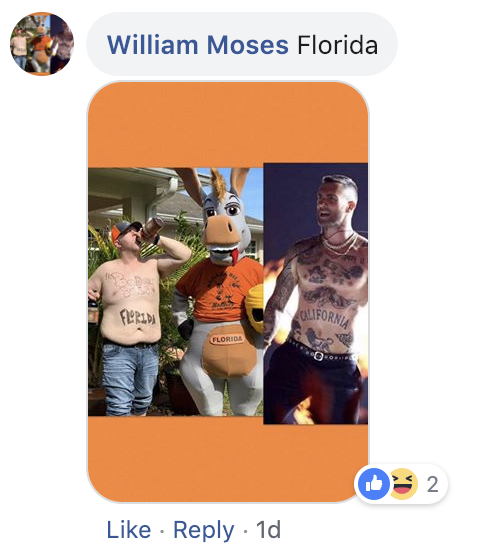 The post was shared nearly 230,000 times and 31,000 comments were made, many including people's own photo submissions. 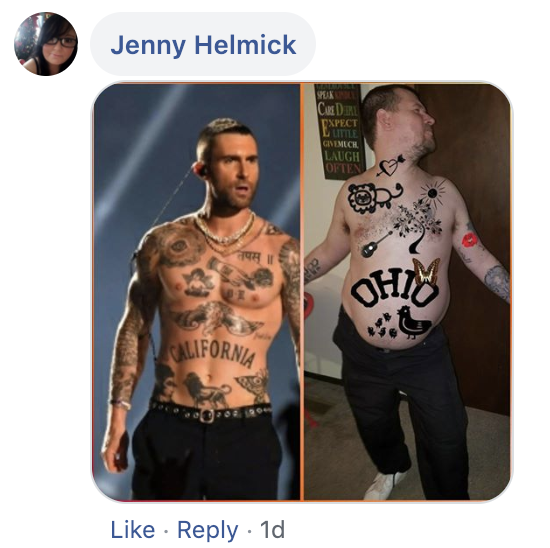 She went for it again the next day with a more inclusive post. 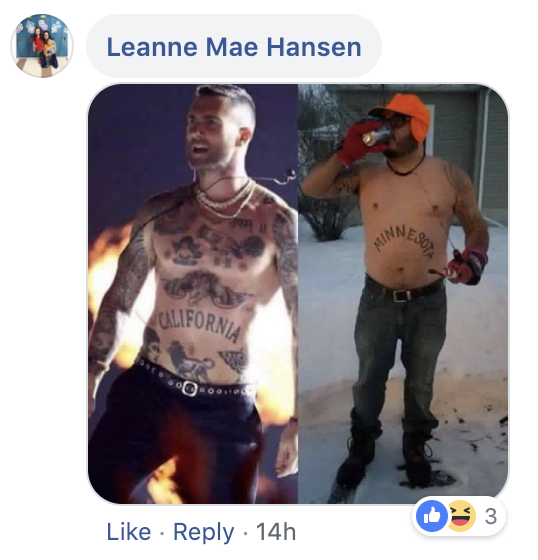 She also went for round 2 and 3 for the gentlemen. 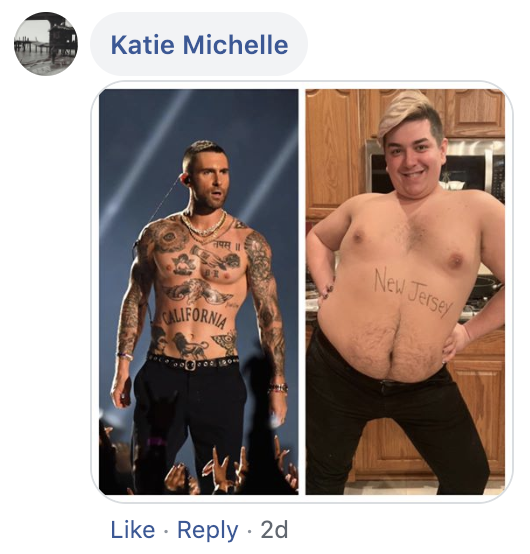 With nearly 250,000 shares between her different posts and almost 25,000 comments, it's probably safe to say that every state has since been accounted for. 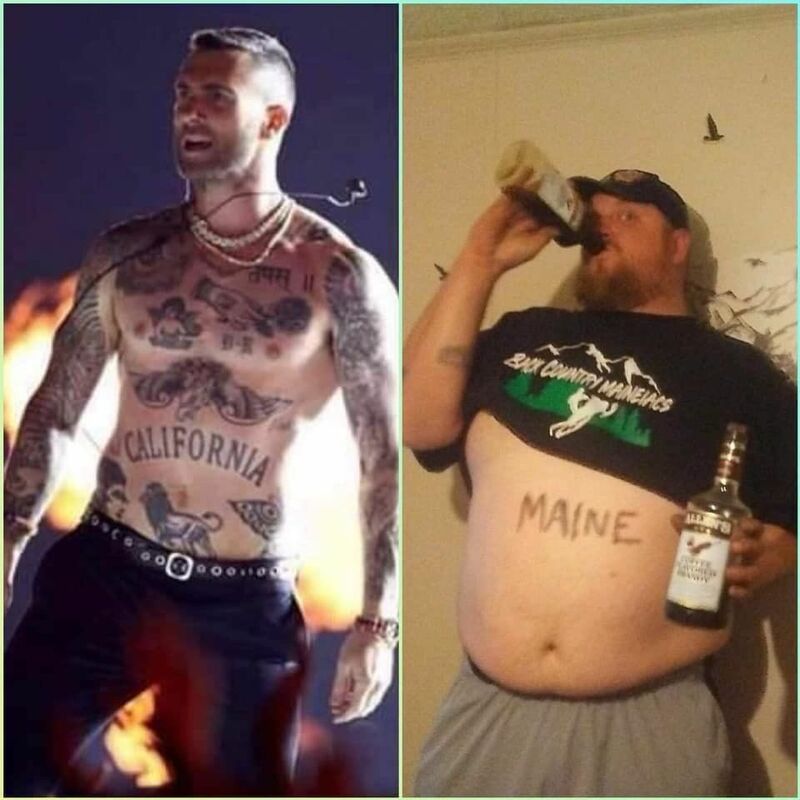 Here are some of the best submissions. 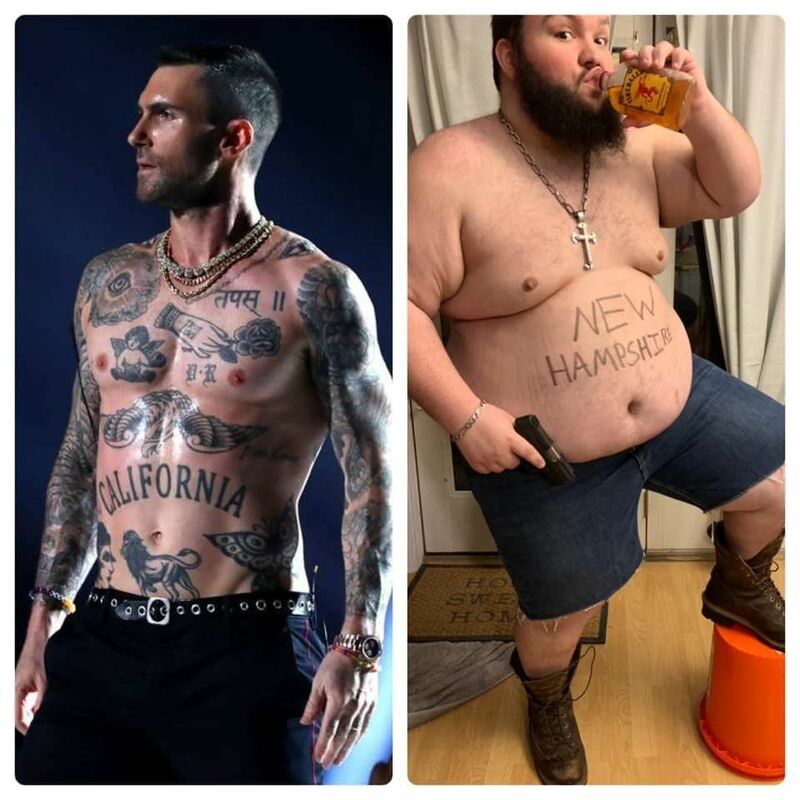 Here's to the good old USA!